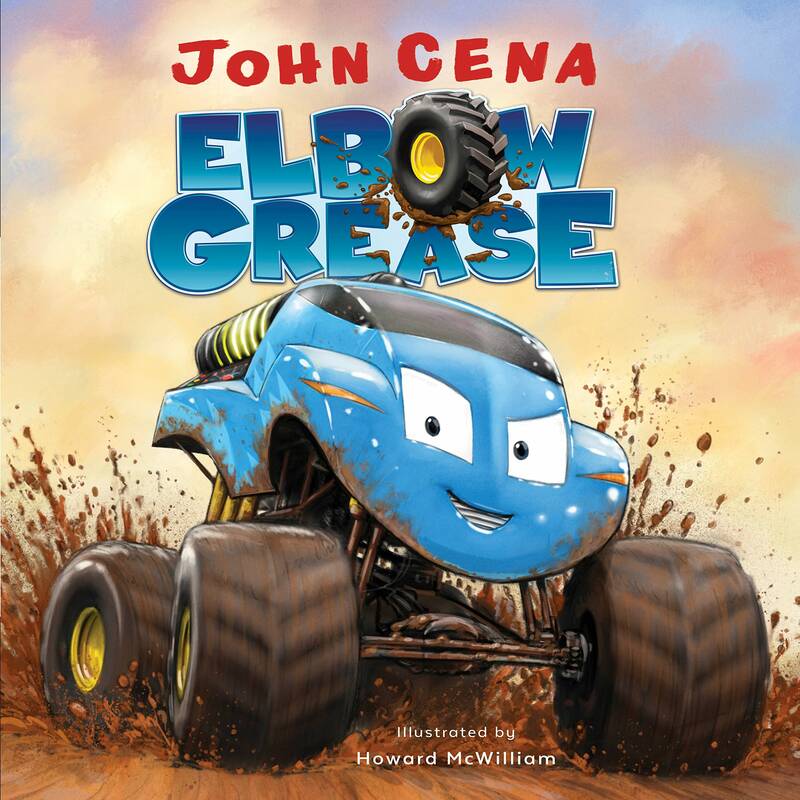 John Cena's book "Elbow Grease" was No. 1 on the Children's Best Sellers list in the New York Times. MLW and Bein Sports at 8 p.m. on 10/26 has MLW Fright Night as a special show with Jimmy Havoc vs. Sami Callihan in a spin the wheel, make the deal match plus PCO vs. L.A. Park. MLW announced PCO vs. Brody King in a no DQ match for the 11/8 show in Chicago at Cicero Stadium. 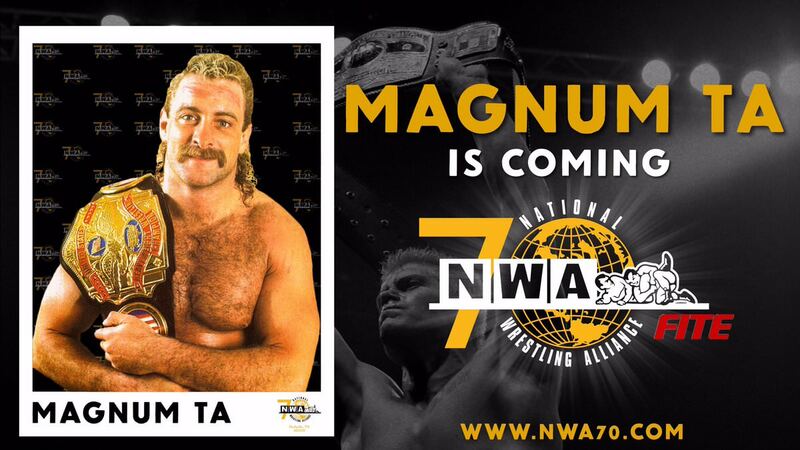 The NWA show on Sunday in Nashville has announced an appearance of Magnum T.A. who will present the new NWA National title belt to the winner of the tournament. Kenny Omega does a rare Canadian independent appearance tomorrow night in Winnipeg for Premier Championship Wrestling at Doubles Fun Club. Enes Kanter of the New York Knicks, who has talked about pro wrestling in the past, had a story today in Vice.com where he said that when his basketball career ends that he wants to go to WWE. He said he's already in contact with WWE and had dinner with Paul Heyman in the last week, and that he wants Heyman with him. The New Jersey Devils have a WWE Night tonight for their game at the Prudential Center with Mick Foley, Becky Lynch and Curt Hawkins appearing. The concourse will have a WWE museum. Tom Duqesnoy vs. Nathaniel Wood has been added to the 12/29 show in Las Vegas. Former NFL star Greg Hardy's fourth pro fight will be on Fight Pas on 12/21 for a Island Fights show in Pensacola, FL. Kayla Harrison has been added to the PFL's 12/31 show in New York at the Theater in Madison Square Garden. The show will also feature six tournament final fights where the winners of each fight get $1 million. Pro Wrestling Revolver on Saturday night in West Des Moines, IA at the Val Air Ballroom with a cage of horrors match with Sami Callihan & Jake & Dave Crist & Larry D vs. Matthew Palmer & Shane Strickland & Jason Cade & ?, PCO vs. Walter, Dezmond Xavier & Zachary Wentz vs. Mat Fitchett & Davey Vega vs. Dustin Rayz & Aaron Williams for the tag titles, Rich Swann vs. David Starr vs. Trey Miguel, Colt Cabana vs. Jake Manning, plus Marko Stunt, Jimmy Jacobs, Ace Austin and Caleb Konley. Keith Elliot Greenberg, who has done a number of pro wrestling books, is doing a book for ECW Press in the Indie Wrestling Revolution. He's looking to hear from people in the independent wrestling world, wrestlers, promoters and historians at IndieWrestlingBook@gmail.com. WWN has announced tryouts on 10/28 in Ybor City, FL, 11/9 in Livonia, MI and 12/16 in Long Island City, NY. Scott Teal noted that he and wife Angela hosted their 7th annual Tennessee Wrestling Legends Reunion on 9/22 and 9/23 at their home in Gallatin, TN. Among those who came were Arvil Hutto, Bob Johnson, Bob Roop, Bobby Simmons, Bobcat Brown, Brian Blair, Bruce Swayze, Charlie Smith, Dean Silverstone, Debbie Combs, Eric Embry, George Weingeroff, Freddie Morton, Gene Luvell, George Gulas, Greg Lake, Izzy Slapowitz, Jerry Barber, Jim Dalton, Jim Lancaster, Joe Cagle, Joe Palardy, Joel Deaton, Joyce Grable, Larry Cheatham, Les Thatcher, Levi Banks, Mac McMurray, Mike Dupree, Mike Pappas, Mike Sircy, Moondog Moretti, Nick Kozak, Pat Rose, Pepper Martin, Ranger Ross, Ric McCord, Rick Singleton, Rocky Johnson, Ronnie Garvin, Sandy Partlow, Scrappy McGowan, Sylvia Hackney,Tony Falk and Tony Ladu. XICW on 20/21 in Warren, MI at the Hot Rocks Bar and 10/28 in Fraser, MI at the Lions Club. Bandit Wrestling on Sunday at D1 Knoxville Sports at 7 p.m. with appearances by mayor Glenn Jacobs, Tom Prichard and Jake Crist, as well as Ace Romero, Zachary Wentz, Fred Yehi, Marko Stunt, Myron Reed and Trey Miguel. Bandido vs Robbie Eagles vs. Tome Filip vs. Stevie Filip was announced for the World Series Wrestling show in Melbourne. Stevie Filip vs. Bandido was added to the Melbourne show on that tour. Tessa Blanchard is working an Melbourne City Wrestling all-women's show on 11/25 in Melbourne. AAW announced Scarlett Bordeaux & Kimber Lee vs. Kylie Rae & Marti Belle for its 10/26 show in Marionette Park, IL at 115 Bourbon Street. Also on the show is Sammy Guevara vs. Rey Fenix, MVP vs. L.A. Park, Davey Vega & Mat Fitchett vs. Bandido & Flamita, plus Trevor Lee, David Starr, Eddie Kingston, Jeff Cobb, Josh Briggs, Jimmy Jacobs, AR Fox, Myron Reed, DJZ, Ace Romero, Trey Miguel and more. They also run 11/10 in LaSalle, IL at the Knights of Columbus with Penta 0M, Rey Fenix, Brody King, Rich Swann, DJZ, Jessicka Havok, Kylie Rae, Eddie Kingston and Trevor Lee. Tito Santana, Vickie Guerrero and Tyson Kid appear on 12/1 in Kingston, ONT for a charity event for the underprivileged youth and military families in the city at Queen's Arc at 284 Earl St.
Antonio Thomas of the site has a new "Left My Wallet" show with Johnny Jeter talking about his time in OVW and WWE with great road stories about starting out with Brock Lesnar, and John Cena. Jeter is looking to return to the ring and taking bookings at johnnyjeter55@gmail.com. Legacy Fighting on 11/16 at the Costa Mesa, CA Hall at the OC Fair & Event Center has a five show on AXS headlined by flyweight champion Sabina Mazo (5-0) vs. Caroline Yariwaki (7-2). Legacy Fighting on 11/30 in Dallas, TX at the Bomb Factory on AXS is headlined by Miles Johns vs. Adrian Ynez for the vacant bantamweight title and Sarah Alpar vs. Joselyne Edwards for the vacant women's bantamweight title. Legacy Fighting on 12/7 in Prior Lake, MN at the Mystic Lake Centre on AXS has Austin Hubbard (9-2) vs. Killys Mota (11-0) for their lightweight title. Dynamo Pro Wrestling on Saturday night in Chesterfield, MO at the Chesterfield Amphitheater. MCW on 11/9 in Joppa, MD at the MCW Arena and 11/10 in Hollywood, MD. Ted DiBiase, Boogeyman and Rosa Mendes will be at these shows. Shimmer in Berwyn, IL has added Dust vs. Ashley Lane for the title on Saturday's show and Jinny vs. Madison Rayne (who is the same woman as Ashley Lane) for Friday, as well as Kay Lee Ray vs. Viper on Saturday with the winner getting a title shot. SKM Pro Wrestling on 11/30 in Six Nations, ONT headlined by Colt Cabana. CWE on 10/27 in Melfort, Saskatchewan at the Kerry Vickar Centre with Brutus Beefcake making an appearance. Combate Americas on 11/17 in Monterrey, Mexico with a featherweight fight with Jose Estrada vs. Levy Marroquin. The show airs on DAZN in English and Univision and Univision Deportes in Spanish. The OTT fourth anniversary show from the weekend with the Walter vs. Will Opsreay match that got rave reviews is now up on their site. The full wXw Ilja Dragunov vs. Bobby Gunns match has been online for free. Revolution Pro Global Wars from Sunday with the Tomohiro Ishii British title win over Minoru Suzuki is up on their streaming service.